It's that time of year again...cookouts and barbecues! Our family really enjoys having cookouts and we grill alot during the summer. Our favorites are ribs and hot dogs. There really is nothing like a flame grilled hot dog, fresh off the charcoal grill. We used to use a propane grill but found that the flavor was SO much better when we used a charcoal grill. We just had to master the fine art of getting the coals to the correct temperature to cook our meats to perfection...without burning them. Once we got the hang of that, we were hooked! We go through ALOT of hot dogs around here and with summer in full swing, we are definitely going to be consuming more. Ball Park brand is announcing their grilling season plans with the launch of the Finest Franks Hotline, a go-to resource offering “frank” advice on creating truly bragworthy grill outs. 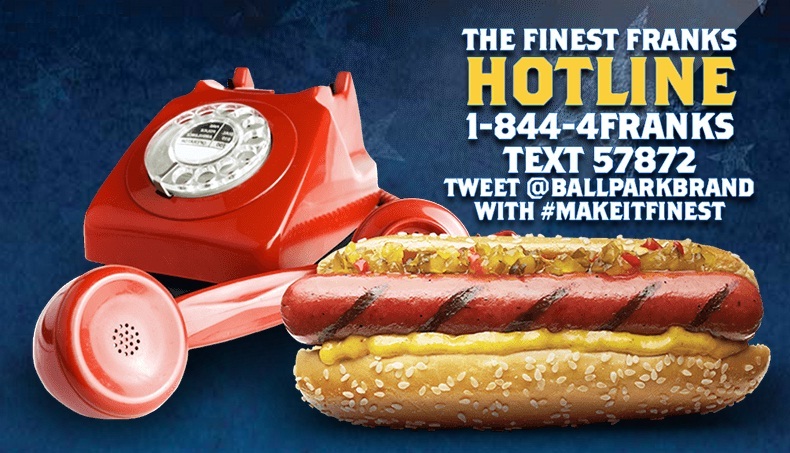 Anyone can call, text, or tweet the hotline to receive expert advice and tips from the Finest Grill Crew on a variety of hot dog and grilling topics. 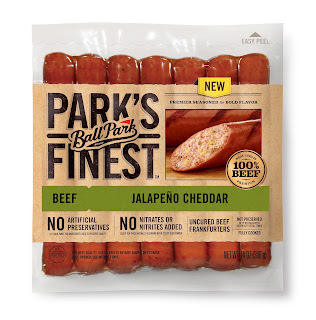 Ball Park has also introduced two new flavors to their Ball Park Park’s Finest line...Slow Cooked Chili and Jalapeno Cheddar. For this review I was sent some coupons to try out these new flavors. 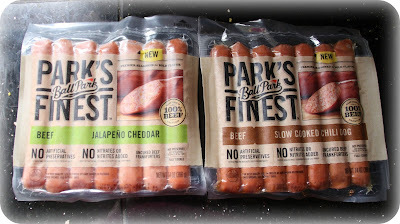 I will say that the packaging on the Ball Park Finest Line is different from the regular hot dog packaging. I sent my hubby to the store and he couldn't find the newest ones because the packaging looks different. When I went to the store, I found them right away. Because I am just that amazing. :0) Just kidding. I grabbed a package of each of the newest flavors and was so excited, we had them for dinner! These are nitrate-free hot dogs, which I LOVE. 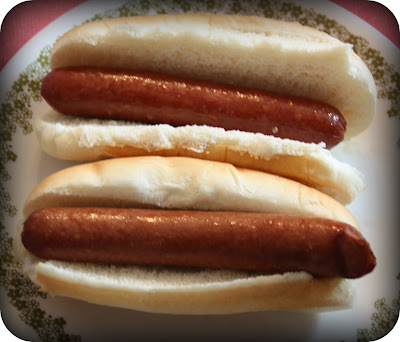 Consuming hot dogs in large quantities is fun but you do need to watch those nitrates. These Park's Finest hot dogs are also free of artificial preservatives and are made of 100% beef, making them super yummy. We tried one of each hot dog and I loved both flavors! My husband said that they remind him of sausage. The Jalapeno Cheddar was very tasty. I am not a huge fan of spicy foods but these were just right in terms of spiciness. Not too bad at all, kind of medium "heat". The Slow Cooked Chili was also very good...I could easily see myself adding some extra cheese on top and maybe a spoon or two of chili just to add to the flavor. They tasted amazing! 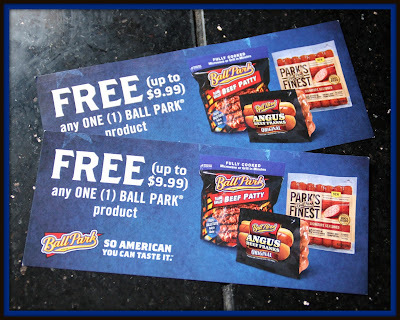 I found these these Ball Park Park's Finest hot dogs at Walmart and they retailed for $3.96 per package. Each package contains 7 hot dogs. So, if you are looking for some yummy hot dogs to add to your picnic menu, check out Ball Park! They have something for everyone and your summer will be that much tastier too. Also, be sure to visit Ball Park on Facebook and on Twitter so you don't miss out on any news and fun stuff that may be happening and don't forget to check out that Hot Dog Hotline!!! Happy Grilling!